Why See National Symphony Orchestra - Saint-Saens' Organ Symphony? Dedicated to the memory of close friend Franz Lizt, Camille Saint-Saens' towering Symphony No. 3 marks a glorious trip through his creative career, an artistic peak that encompasses the full thrill of the Romantic period. 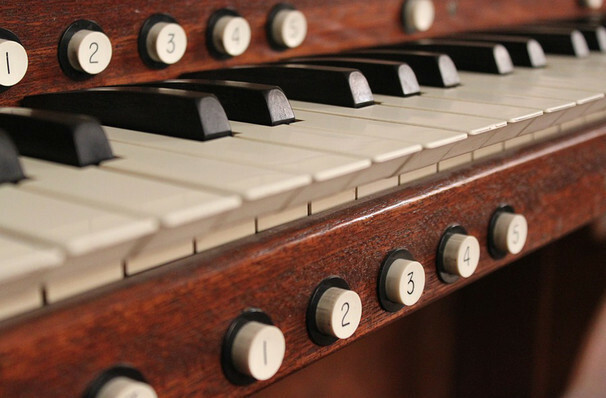 Stirring and undeniably one of the greatest uses of the organ in the canon, it's truly an unmissable live experience. Previous to performing this masterpiece, the Symphony, conducted by Giandra Noseda, will be joined by pianist Seong-Jin Cho for Ravel's Jazz Age inspired Piano Concerto in G, before taking you on a fantastical journey with Franck's The Accursed Huntsman. A roiling symphonic poem that sees the titular huntsman pursed by demons for daring to hunt on a holy day. Sound good to you? 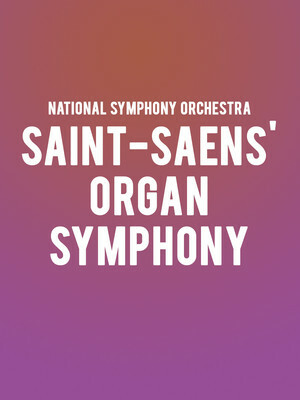 Share this page on social media and let your friends know about National Symphony Orchestra - Saint-Saens' Organ Symphony at Kennedy Center Concert Hall. Please note: The term Kennedy Center Concert Hall and/or National Symphony Orchestra - Saint-Saens' Organ Symphony as well as all associated graphics, logos, and/or other trademarks, tradenames or copyrights are the property of the Kennedy Center Concert Hall and/or National Symphony Orchestra - Saint-Saens' Organ Symphony and are used herein for factual descriptive purposes only. We are in no way associated with or authorized by the Kennedy Center Concert Hall and/or National Symphony Orchestra - Saint-Saens' Organ Symphony and neither that entity nor any of its affiliates have licensed or endorsed us to sell tickets, goods and or services in conjunction with their events.